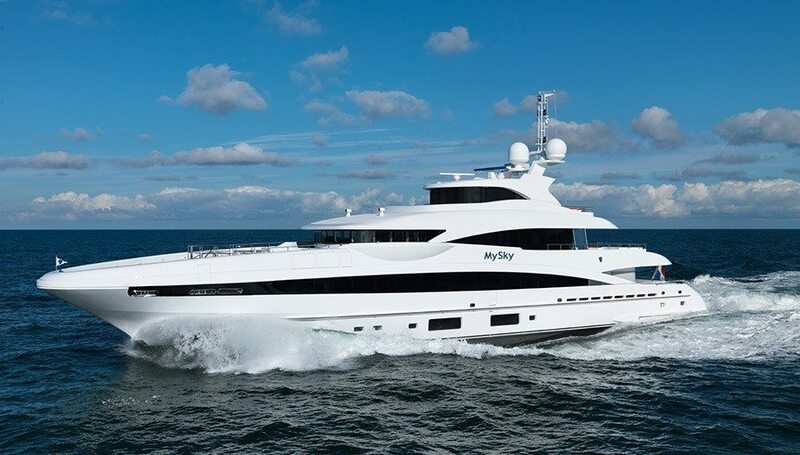 In consultation with yacht builders and naval architects, Boat International established a number of yacht award categories so that yachts can be judged against other vessels of a similar size and type. 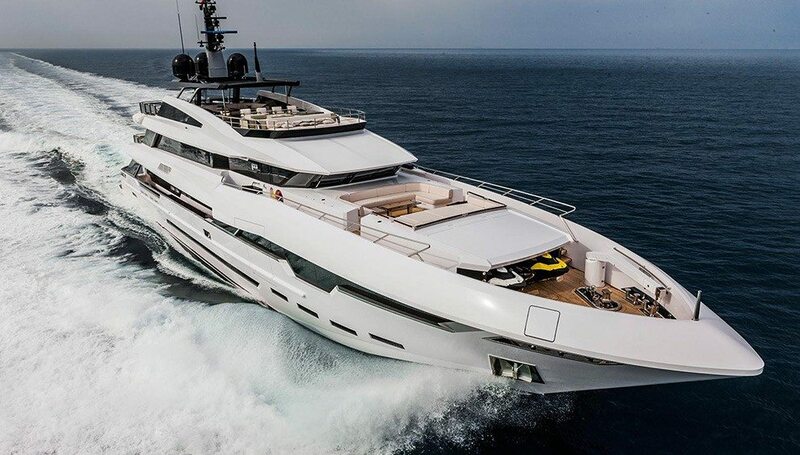 There are five awards for displacement motor yachts (those vessels that always displace their own weight of water), and four awards for semi-displacement motor yachts that at higher speeds displace less than their weight of water, operating in ‘planing’ mode. 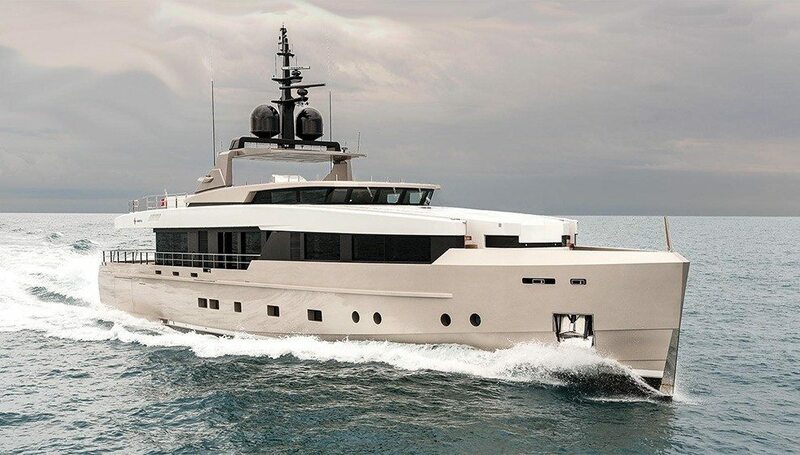 This distinction is made because these two types of yachts call for very different construction philosophies, the latter type being much more lightly-built. Two further awards are reserved for sailing yachts, and one award for yachts that have been given major refits that finished in the qualifying year. Finally, there are two awards for the motor yacht and sailing yacht that are considered by the judges to be the most notable in the qualifying year. 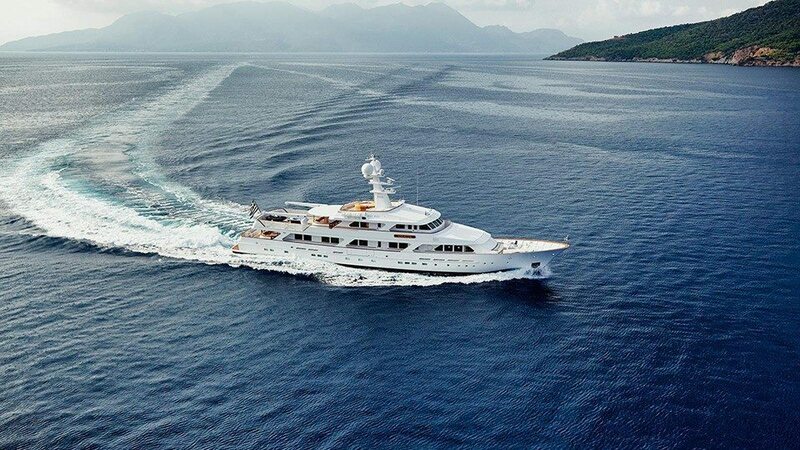 Grace E, the 73m Picchiotti branded motor yacht created by the Perini Navi Group, was crowned Motor Yacht of the Year at the 10th edition of the Boat International World Superyacht Awards on Saturday 9th May in Amsterdam. The awards ceremony – known as the Oscars Night of the yachting world – recognized Grace E’s unique combination of distinctive lines, stunning Remi Tessier designed interiors, perfect execution of detail and outstanding quality. 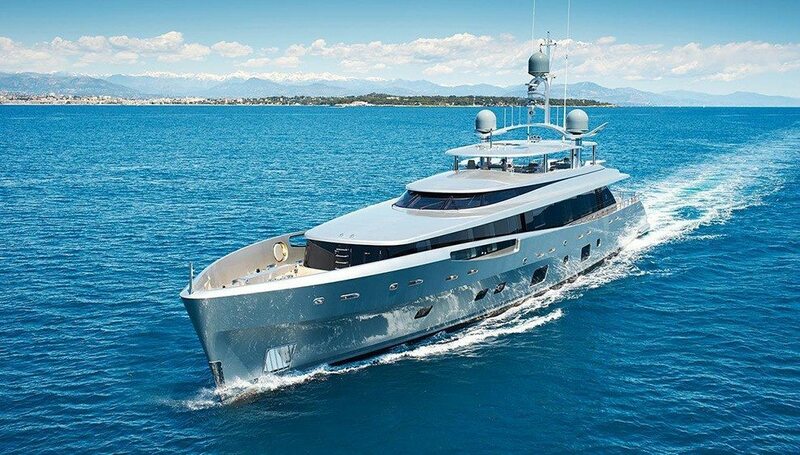 Grace E, the 73m Picchiotti branded motor yacht created by the Perini Navi Group and presented in world premiere at the Monaco Yacht Show, has also received the Baccarat trophy for the Best Interior Design, a coveted recognition given to the best vessels on display at the Monaco Yaht Show. The awards was given at a ceremony held at the newly completed Yacht Club de Monaco. The recently delivered sailing yacht from Finnish shipyard Baltic Yachts is the Baltic 108 WinWin. 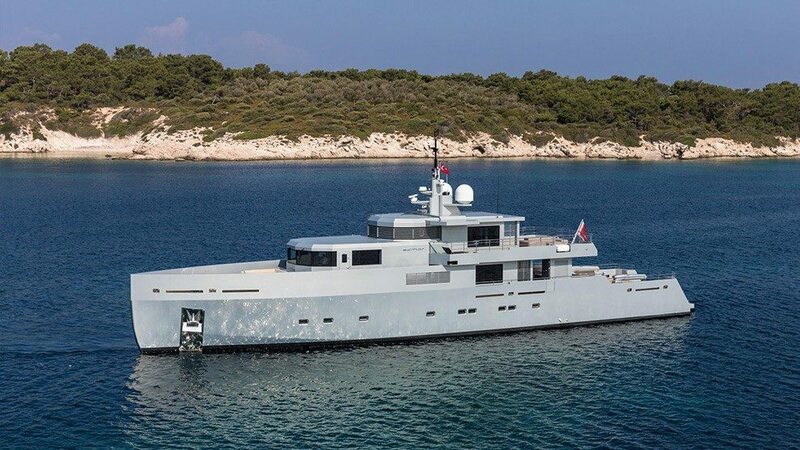 Measuring 33 metres in length, she features naval architecture and design by Javier Jaudenes and interior design by Mark Tucker and his team at Design Unlimited. Baltic 108 WinWin had a sucessful evening at the World Superyacht Awards in Amsterdam winning both its class (sailing yachts below 40 m) and best sailing yacht overall. It’s the second year in a row that a Baltic has won both these prestigious awards. After much consideration between Wisp and WinWin – the judges voted almost unanimously to select WinWin, a 33-metre yacht built by Baltic Yachts in Finland, as the winner of this prestigious award. Built from pre-preg carbon fibre and boasting a remarkably light displacement of 77-tonnes, this lifting-keel yacht combines an attractive appearance with efficient yet extremely stylish on-deck working areas, a particularly agile performance, and a level of technology that allows the yacht to be readily manageable by a crew of four. In addition, she features super-comfortable living spaces styled in the modern idiom and a superb build quality. With exterior design from Javier Jaudenes and interior from Design Unlimited the jury selected WinWin as the most significant sailing vessel that had been delivered to it’s owner in the year 2014. 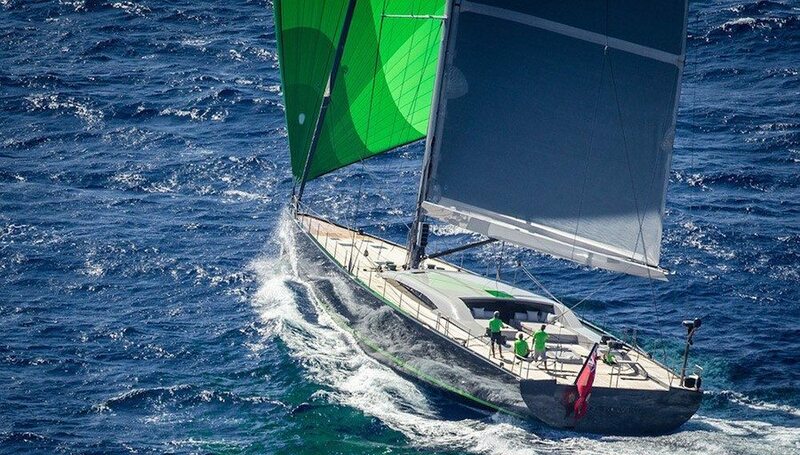 Baltic Yachts is today a well-known builder of high performance sailing boats that are exclusive, tailor-made dream yachts of high quality material. The company was founded in 1973 on the philosophy to build ‘lighter, stiffer and faster’ boats using new materials and technologies combined with a high degree of customisation. Baltic Yachts is considered as one of the leading hi-tech yard with a turnover of 38 m EUR and 220 employees. This year Baltic Yachts is delivering one new build, a 115 footer, along with the re-launching of a Baltic 35 that has been in for a refit this winter. In production Baltic Yachts have a 130 and a 175 foot project alongside a 81 foot refit project. Award-winning luxury. The custom-built Heesen 51m steel displacement yacht is a combination of the award-winning Sky and an expanded heli-capable foredeck. The four custom-built deck levels provide huge amounts of outside space custom-built. 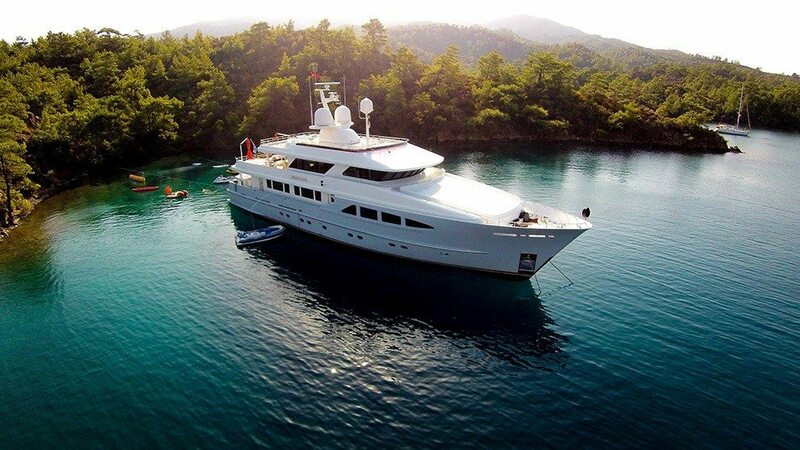 The large foredeck can be used as a heli-pad or an additional space for relaxing in privacy when the yacht is in port. The huge sundeck has a fully enclosed dining area with forward doors that open the entire space, forward and aft sunbathing areas and a large Jacuzzi. The specially designed bulbous bow creates an contra-wave for smoother passage through the water. This results in a reduction in the power required to reach a given speed; less power requires less fuel. The yacht belongs to Heesen’s newly styled 47m class of steel-hulled displacement vessels that has already become an icon of classic contemporary design. With a massive range of 4,000nm at cruising speed, the precision-engineered round bilge hull and zero-speed stabilisers ensure safe and comfortable cruising in all sea conditions. Her handsome exterior styling and Heesen’s hallmark ‘pelican’ bow is by Omega Architects, who also worked with the shipyard to create the timeless interior design. Fine silk, wool and linen textiles complement the warm walnut floor, oak walls and lacquered ceiling to create an ambience that exudes luxurious elegance. 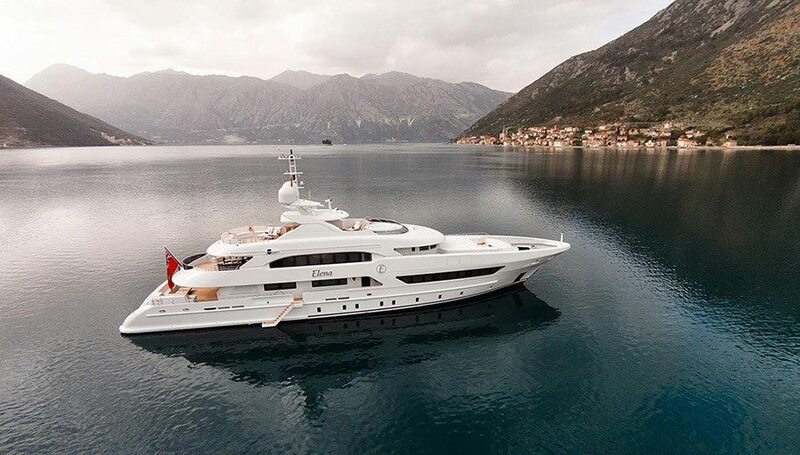 Elena is one of the newly styled yachts in the award-winning 47-metre class, a breed of Heesen’s that are icons of classic contemporary yacht design. According to Boat International, the judges felt this yacht featured well balanced and extremely pleasant living areas, both on deck and inside, for the owner and his guests. While the crew, for whom good living and service facilities ensure the proper running of a modern yacht, was equally well provided for. Particularly admired were the fully featured sundeck and the spacious master suite. 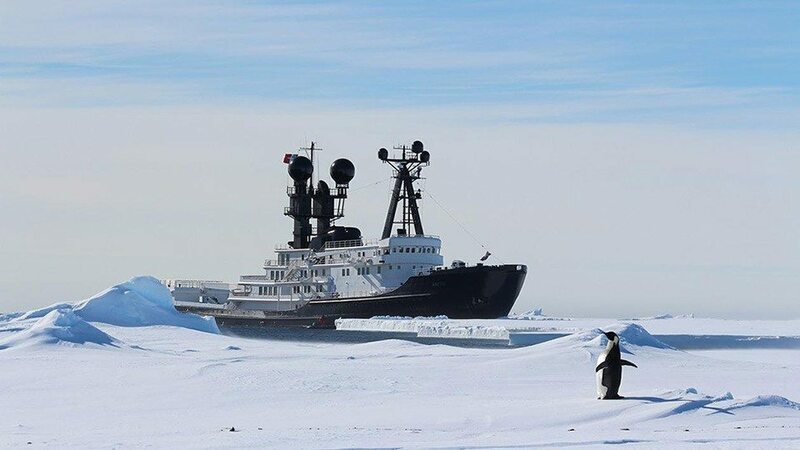 It was the result of the secret ballot that determined the winner and this showed a clear preference for 46.7 metre Elena, which covered the widest range of judging parameters. The yacht has unprecedentedly large windows in the hull and there is a great deal of glass in the superstructure: the latter is placed on top of the metal rather than being set into it, creating a continuous glass surface. These glazed side panels give spectacular uninterrupted views from the owner’s stateroom. 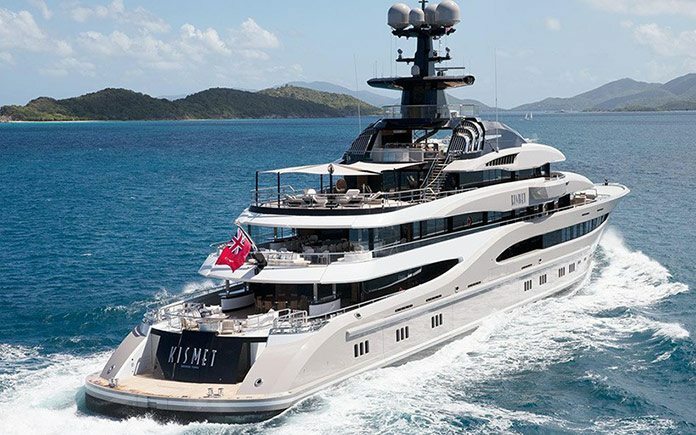 This prestigious prize follows hard on the heels of previous awards for Como, which included the Baccarat Super Yacht World Trophy for her owner Neville Crichton, two International Superyacht Design Awards, and no less than three ShowBoats Design Awards. Wisp is a magnificent example of revivalist naval architecture by Hoek Design with interior architecture by Rhoades Young Design that fulfills her owner’s brief for a supremely comfortable cruising yacht that may also indulge in some ‘gentleman’s racing’. According to the judges’ report: “…following the secret ballot it was Wisp that topped the points […]. Refit Yard: Borancili Marine . AlumerciA, 37.9-metre full-custom all-aluminium motoryacht was developed in close collaboration with Vripack and delivered in 2000. 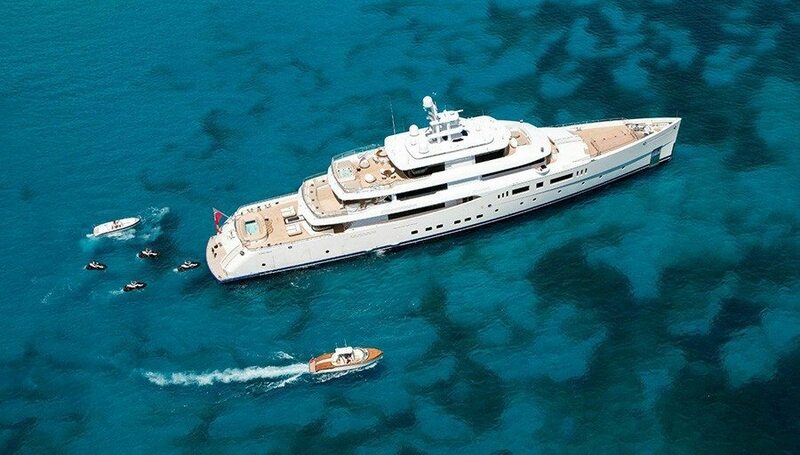 She was the first yacht to be fitted with a Schottel Azimuth twin propeller system. 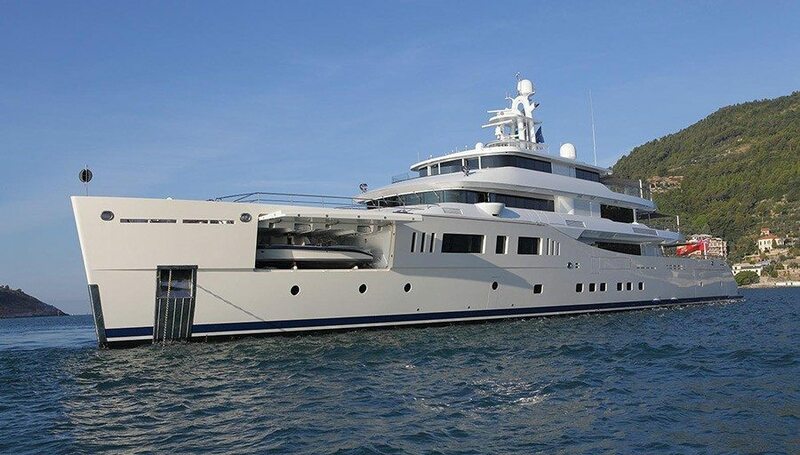 Her new owner completed an extensive refit supervised by Vripack at Borancili Marine. Mark Cavendish Director Sales and Marketing comments: “We are extremely proud of this incredible achievement. The Neptune Trophy is the most prestigious accolade one can receive in our industry. Being awarded two of them is overwhelming. We are delighted that this recognition goes to our displacement yachts. As a world leader in aluminium yachts, we aspire to become one of the top steel displacement builders as well. 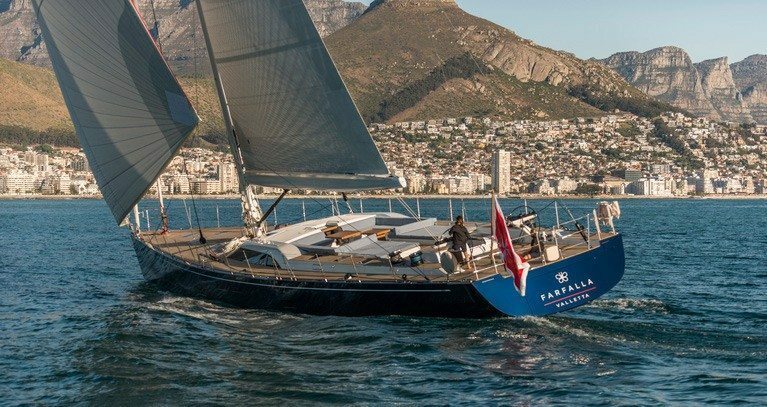 Nominated in the 30m to 44.99m Sailing Yacht category, SW102 Farfalla best represents “an exclusive combination of high quality and good value, providing her owner with the opportunity to cruise the oceans in comfort and safety, as well as the possibility to participate in keenly contested racing”. 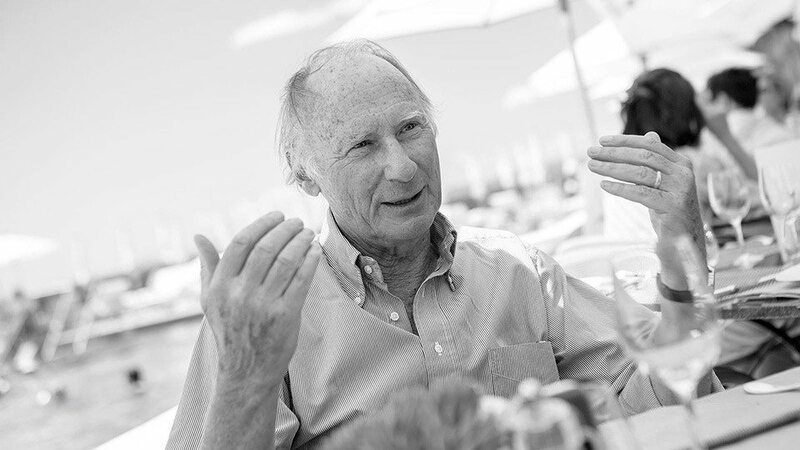 And it was with this exact motivation that the 2015 World Superyacht Awards jury – made up of a panel of expert superyacht owners –, awarded Farfalla with this year’s prize for “QUALITY&VALUE”.